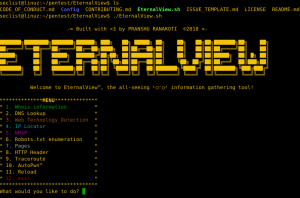 Browse: Home / EternalView is an all in one basic information gathering tool. 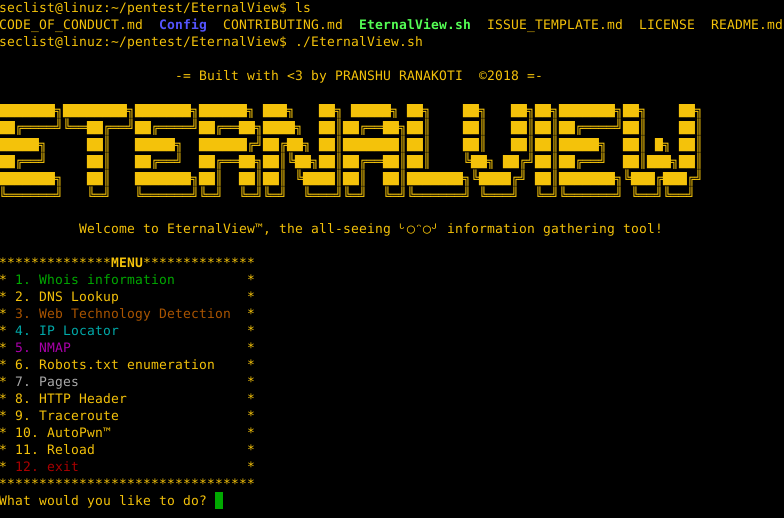 This tool is purely for educational purposes, don’t use it on any website without the permission of it’s owner. The user is responsible for his/her actions! 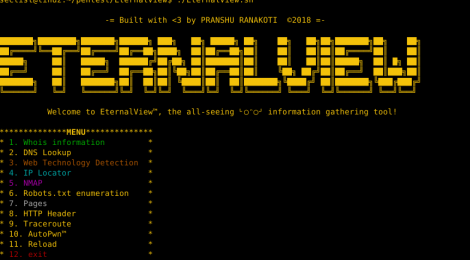 + Autopwn™; A simple bash based metasploit automation tool! With just a few clicks, own any android or windows device!! ← airpydump is a wireless packet analyzer.